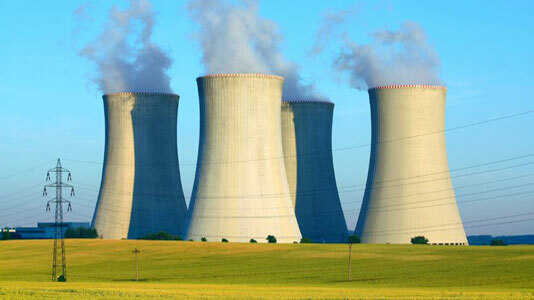 Although nuclear energy plants boast an impressive safety record, events such as the Fukushima disaster demonstrate the dangers that hydrogen can present. An uncontrolled release of hydrogen could, if ignited, result in a huge loss of life, significant damage to the nuclear plant in question, and widespread environmental damage. Sellafield Ltd, the UK's leading nuclear decommissioning and reprocessing company, is tasked with managing hydrogen explosion hazards on a regular basis. In recognition of the safety risks associated with doing so, they established a Hydrogen Working Party in 1995, responsible for technical guidance and advice on all hydrogen safety matters at all Sellafield sites. In 1999, the group approached LSBU's team of experts in the field of Explosions and Fire Research because of their modelling and experimental expertise in the area of Flammable Gas explosions. The group, led by Professor Philip Nolan, became the primary authors of Sellafield's Hydrogen Technical Guide which was first published in 2002. It is the company standard for the management of hydrogen safety and continues to be updated by the Explosions and Fire Research Team in line with their research findings. It also provides the national regulator with the necessary assurances that Sellafield can manage its hydrogen safety affairs effectively and with confidence – even a minor incident could result in a plant shutdown costing millions. Through the work the team has undertaken with Sellafield Ltd, the company has saved millions while making its processes and procedures safer. LSBU research into partial inerting demonstrated that it could perform as well as a fully inerted system. When combined with an earlier start/quicker retrieval system, Sellafield estimates it has potentially saved around £500 million in installation and operating costs at its Magnox Swarf Storage Silo retrieval project thanks to the innovative work done proposed by LSBU. The team has also provided the Hydrogen Working Group with a greater understanding of possible ignition sources. While electrical ignition is well recognised, the threats posed by mechanical ignitions were far less understood. LSBU's work broke new ground and provided a detailed understanding of all ignition mechanisms, as well as ways to assess the risks and probability of hydrogen explosions in a variety of different circumstances. As a result, the Hydrogen Technical Guide is regularly used by Engineering and Technical staff at Sellafield Ltd to deliver their work successfully and many working hours of training and Continuing Professional Development have been delivered based on the contents of the guide. The partnership with Sellafield Ltd has been successful for both parties. Since 2008, LSBU has carried out research contracts valued at over £1 million, and our team of explosion and fire research experts is now sponsored by Sellafield. Sellafield, meanwhile, estimates it has potentially saved over £550 million thanks to LSBU's work. There is global interest in LSBU's work too. The Hydrogen Technical Guide has attracted attention from the Department of Energy in the USA, where no such equivalent exists. With further research and collaboration planned, that figure looks set to rise. LSBU is proud of the role it has played in helping Sellafield Ltd make the UK's nuclear power plants even safer. Search our People Finder for academics working in the field of explosions and fire research and read about LSBU's work in the field of Explosions and Fire Research.